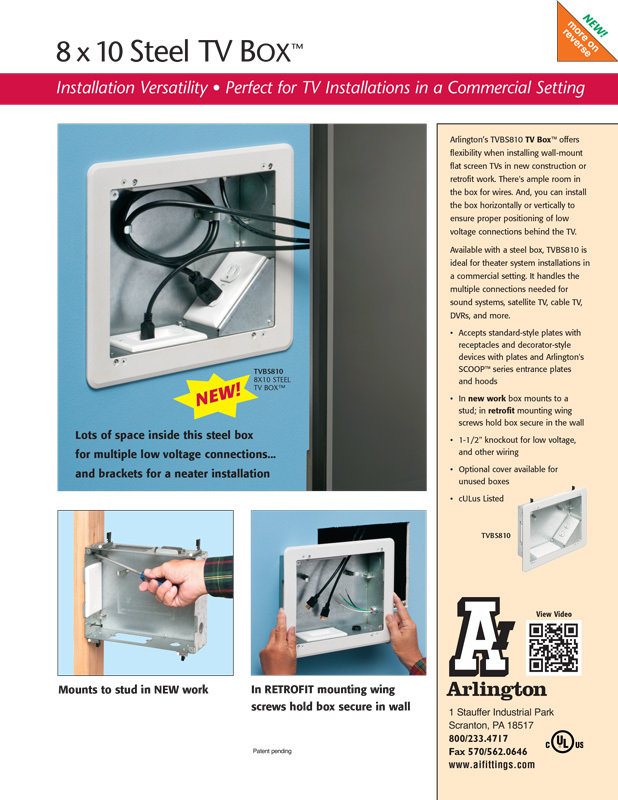 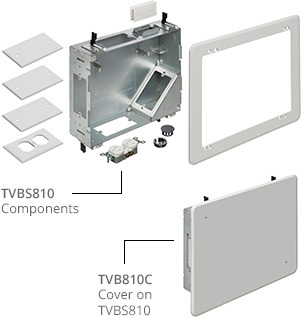 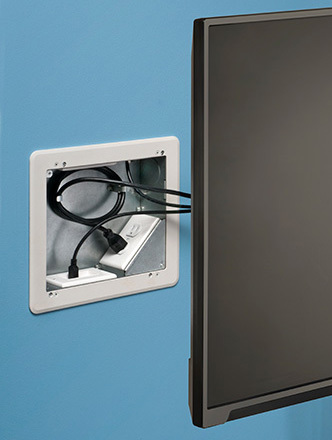 Arlington’s TVBS810 TV Box™ can be installed horizontally or vertically. 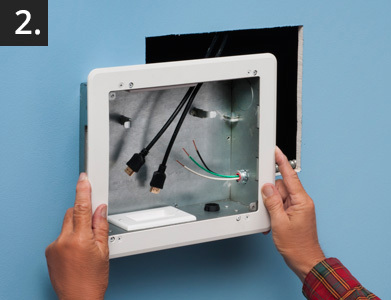 It handles the multiple connections needed for sound systems, satellite TV, cable TV, DVRs, and more! 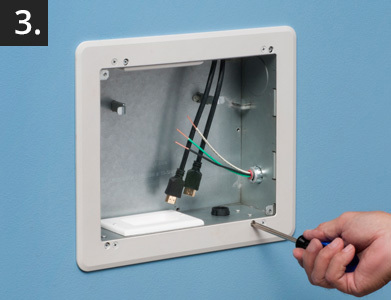 Mount box to stud, using tabs for proper positioning. 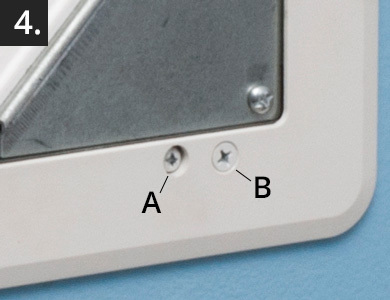 Attach plastic, paintable trim plate with screws provided. 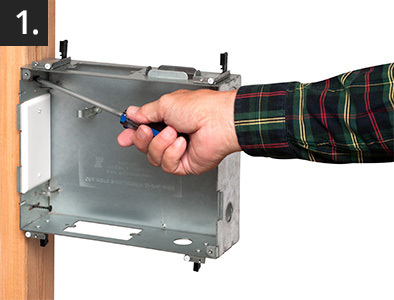 Determine placement of box. 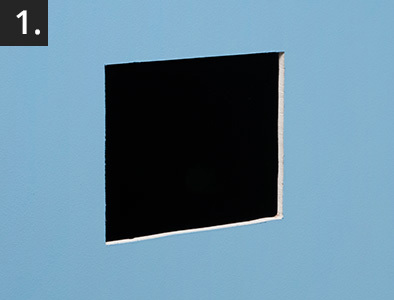 Cut opening in wall. 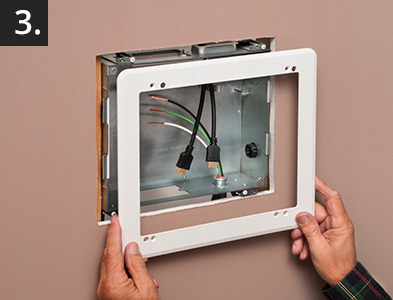 Install trim plate on box. 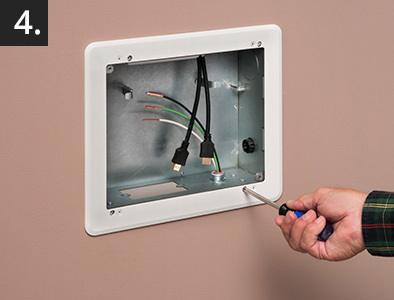 Pull wire. 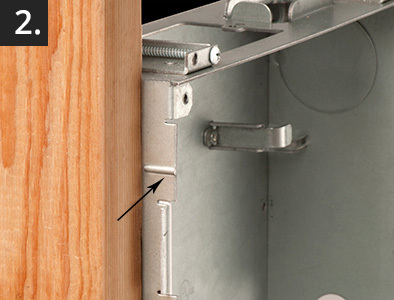 Insert assembly into opening.